FSP, the Best Green and Intelligent Energy Solutions Provider | FSP TECHNOLOGY INC.
【Taipei, Taiwan - May 26th, 2017】Intersolar Europe, the largest international solar technology trade fair will be held from May 31 to June 2, 2017 in Munich, Germany. FSP Group is committed to the development and research of green energy products. The corporate vision of FSP Group is to be the global leading provider of green energy solutions, to touch people’s life and to contribute a better environment. FSP Group as the world's tenth largest category AC-DC power supply manufacturer will not absent this important summit in the field of solar energy. FSP has successfully developed a grid-tied, off-grid (portable with energy backup) inverter that is suitable for a variety of intelligent energy solutions such as the load shifting, Self-consumption on quasi-micro grid application. These products are now widely implemented by European customers, been trusted and recognized. This year, FSP Group mainly showcases enterprise-class intelligence energy solutions. It can significantly improve the application scope to achieve a highly quality life experience with the green energy, intelligent power consumption, and uninterrupted power at critical moment. FSP’s energy storage products offer intelligent monitoring software, and allow people to supervise the safety of facilities and power generation conditions in anytime and anywhere. FSP always go with you to contribute to the energy saving and carbon reduction for the Earth. FSP’s brand new FSP142PV, a 1.4kW rated power, four individual and module scale MPPT micro inverter, will be the first time to exhibit in Intersolar as well. Micro inverter can effectively convert the solar power from PV modules then feed into the grid. Comparing with string inverter, it won't drop the power too much what if cause by clouds, shade, leaves, bird feces and other shadow effects. The average power generation of the micro-inverter is 10 to 20% higher. 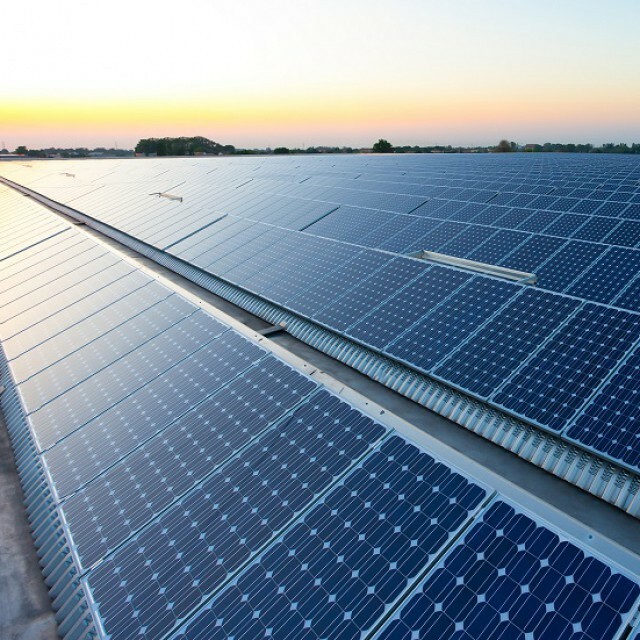 It is very suitable to install a PV system in limited rooftop, and avoid the potential risk from high DC voltage come with modules connected in string. In addition, it can also cut off the heating source by direct sunlight, saving the air conditioning fee, and secure your own property and life. In addition, we also demonstrate the movable energy storage system, EMERGY 1000/3000, its built-in self-developed high-efficiency power conversion system, can be charged directly by photovoltaic power. It has 1500W high power output, can supply induction cooker, refrigerator, TV, hair dryer and other household appliances. It has a pure sine wave high-quality power output suitable for medical, communications, advanced audio equipment; it also has a leading global non-vents/ fanless cooling, lightweight design, and will not reduce system life due to dust, moisture, or foreign matter inhalation when used in outdoor. So far EMERGY 1000/3000 has been widely used in indoor / outdoor non powered area, and been sold into more than 10 countries. In the meantime, the PV power bank is also the first time be exposed at this show. FSP Group understood the desire of modernized education in rural areas. We built up a PV power bank (18.5V / 47.2Wh) that allows schoolchildren can utilize laptops, tablet PCs to access the internet and enjoy unlimited networking resources. Welcome to visit FSP, our booth number is B3.359. Look forward to seeing you then.